Bart was born in Syracuse, NY and grew up in Camillus. He attended Catholic Church until he was baptized in 1975 at the South Side Church of Christ. He graduated from West Genesee High School in 1976. He married his high school sweetheart, Diane on January 6, 1978, at South Side Church. They attended East Side congregation before becoming members at Wetzel Road in 1980. Their daughter, Denise, was born in 1983 and grew up attending Wetzel Road Church of Christ. She was a counselor and lifeguard at Camp Hunt where she met her husband, Jacob Lougee, who was also a counselor there. 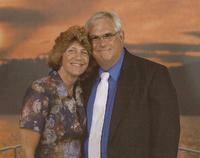 Bart and Diane feel truly blessed by their faithfulness and continued enthusiasm to serve the Lord. Bart has served with the Buildings and Grounds Ministry for many years and is currently working with the Financial Ministry. He finds loving the Lord a “Piece of Cake” and is excited to continue serving him in his new role as a Deacon.